Since our inception, we have been offering iOS applications for iPhone and iPad mobile devices. We offer high-end iOS apps for our clients who want to connect with their customers and have their own brand identity in the market. We are known to deliver fully functional, user-friendly apps, as well as flawless apps according to business objectives. We have the experience to develop iOS apps for almost all industries irrespective of its complexity. Our team of experienced professionals provide highly scalable and capable business specific apps to give an extra edge to businesses. They specifically focus on every aspect of app design,development and implementation. We never compromise on quality, and always try to deliver secure, robust and versatile apps. We don’t believe in ready-made solutions; we believe in offering bespoke solutions to clients. 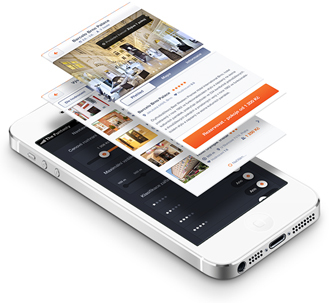 We leverage our industry knowledge to develop reliable apps for iPhone and iPad devices.